As I was sorting through pictures, I came across a few I never posted. A few that need posted because they're too cute not to! The first few are from May. 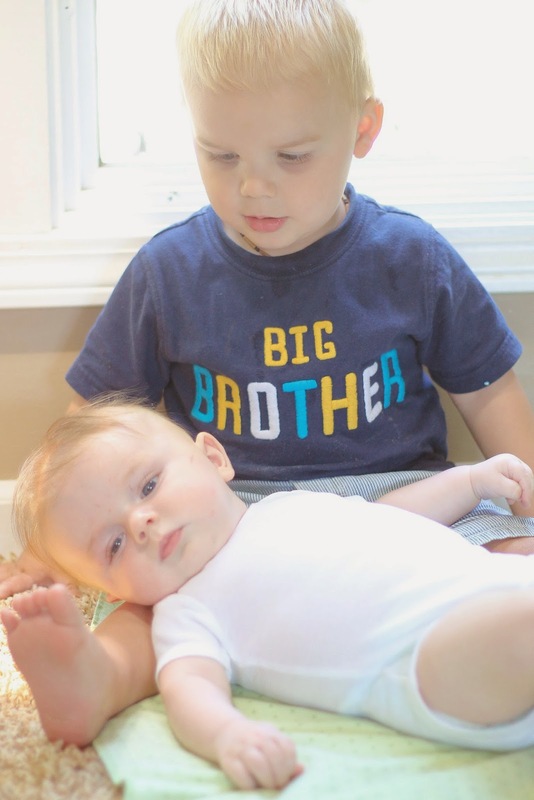 Brantley was not quite 2 years old and Holden was a mere 5 weeks! Brantley wanted to be like Mommy and snap some photos of his little brother! And this last photo is from Holden's 4-month shoot, so last month in August. Brantley wanted to be in a picture, too, so I took full advantage and snapped one. The picture isn't great, but sweet nonetheless! These two melt my heart. I couldn't love anything more! Holden Beckett: 5 Months Old!